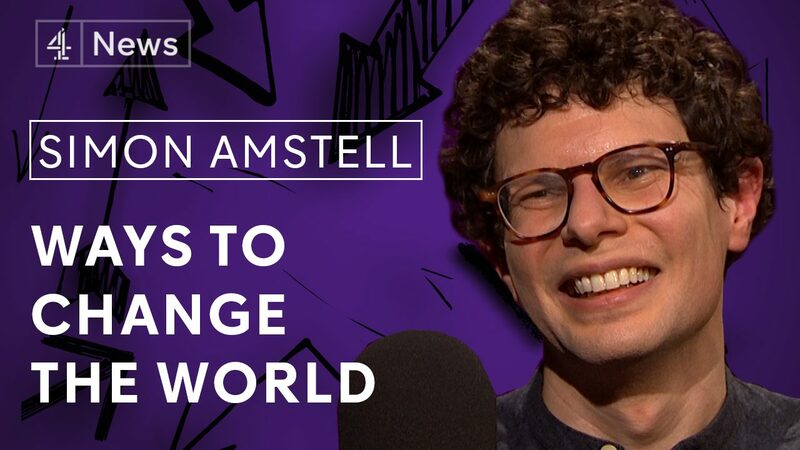 Simon Amstell made his name as a stand-up comedian and presenter, best known for his stint on ‘Never Mind the Buzzcocks’. Now he’s a fully-fledged film-maker, taking on veganism in his 2017 film ‘Carnage’, while his latest venture, ‘Benjamin’, is a semi-autobiographical look at a gay man struggling to find intimacy. Krishnan talks to him about how therapy helped him see the joy in things, his creative process and why he’s turned off by politicians. You can listen to and subscribe to the podcast on Apple Podcasts here. Or on Spotify, Acast, CastBox and other good podcast apps. The direct download link is here. So join us as we explore the big ideas changing the way we think, act and live – and how much impact we can really have as individuals. A filmed version of each interview is available on our Channel 4 News YouTube channel – hit subscribe to keep updated on when a new episode is published.